Continuing my semi-regular tradition of having too much going on on the actual Hourly Comics Day, I drew these a day later during my day off from work. So this is what I do on my days off! 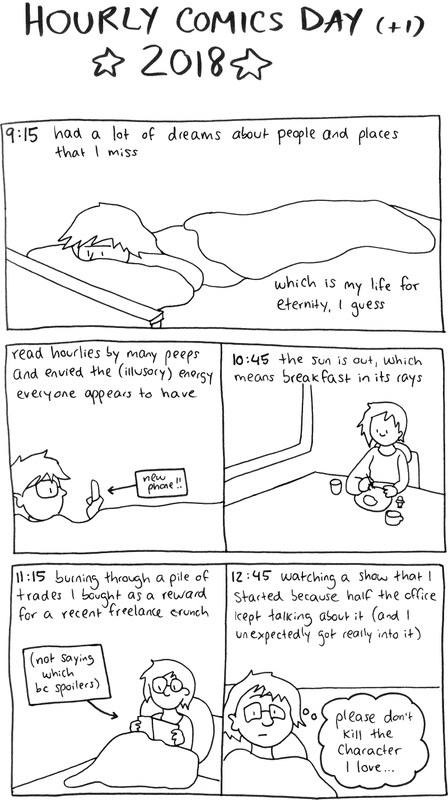 You can also read my hourlies from 2017 (same-day!) and 2016 (a week later! ).